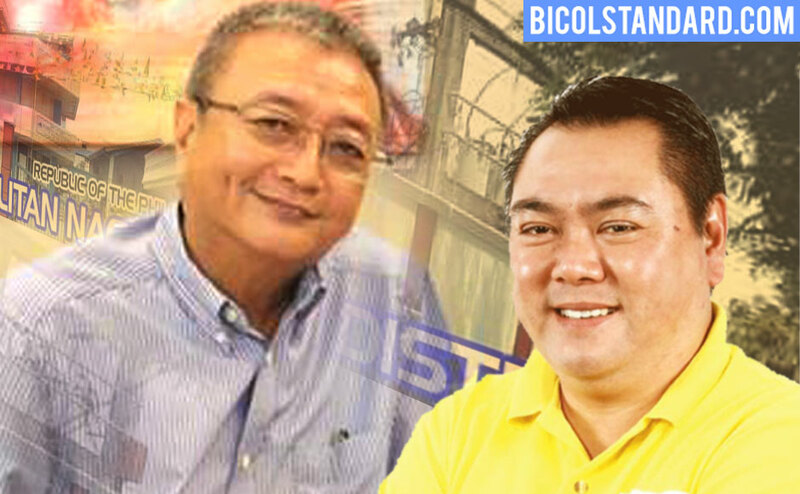 NAGA CITY – City Mayor John Bongat called for the resignation of businessman Fortunato “Tato” Mendoza, chairman of the Metro Naga Water District (MNWD) amid raging controversy involving the cutting off of the water connection that services the Panicuason Water System Association (Pawasa). Bongat stressed during the press conference that he must be consulted first before the MMWD board should implement the disconnection of the said water system, which is owned by the barangay. The construction of the said water system project was completed with the help of the city government. “I should be consulted first before they decide to cause the cutting off of the water services of Pawasa,” Bongat said. Meanwhile, he clarified that as chief executive, he was responsible for the appointment of at least three incumbent MNWD directors, namely Adolfo “Aping” Olivan, George Palma, and Fortunato Mendoza, who is the Board President. Asked for his reaction on the demand of Bongat that he should step down from the MNWD board, Mendoza told BICOL STANDARD that the mayor need not demand for his immediate resignation. “Just wait until October, because by then I will be ready to relinquish my seat”, Mendoza clarified. Observers say that Mendoza and Bongat have now reached the political crossroads as they are now deeply entangled with the recent political realignment of forces. Both of them claim to be staunch supporters of former City Mayor Jesse M. Robredo and 3rd District Rep. Leni Robredo, but are both ready to slug it out during the mayoralty race come 2016. According to reports, Rep. Robredo is entertaining to run for reelection or join the national political derby by aspiring to be senator under the banner of the ruling Liberal Party, (LP). As these developed, Mendoza called the attention of the residents of Naga City to refer to the provisions of PD 198 which clearly explains the mandate and functions of water districts in the entire country. He (Mendoza) criticized Bongat for his comments aired over the local stations as he emphasized legal maxim, “we are a government of laws and not of men”. “If he (Bongat) thinks he is right, by all means, he should file a case against us,”he stressed. “Pag naheheling ninda na tama an gibo mo pero sala sa politika ninda, kakalabanon ka,” Mendoza added. Mendoza finally declared that upon the authority of the MNWD board, the management decided to disconnect the water connection of the Panicuason Water System Association (Pawasa). But, later in the day, the disconnected line was reconnected, allegedly upon instruction from the City Hall. “We are filing a case against those responsible for the said acts. This should be settled in the proper forum,” he said. Mendoza also criticized the barbaric stance that is being portrayed by whoever has given the instruction that reconnected the disconnected water pipes of Pawasa. “While we claim to be the center of transparency and good governance, the actuation of some officials say otherwise”, he said. “This is probably the reason why some of the loyal followers of the late Jesse M. Robredo are angered by what is happening now in our place”, he added. BICOLSTANDARD.COM Pirming enot. Pirming bago.